If you're a rider who is looking for a stunning and authentic “street racer” bike this year in the Portland and Gladstone, Oregon area, then check out the new 2019 Triumph Street Cup motorcycle. The new Street Cup is the original, highly customizable, bike from the engineers at Triumph Motorcycles and you can find this impressive bike at Latus Motors Triumph today! The new 2019 Triumph Street Cup motorcycle comes with an extensive array of features that are designed to help improve your ride. 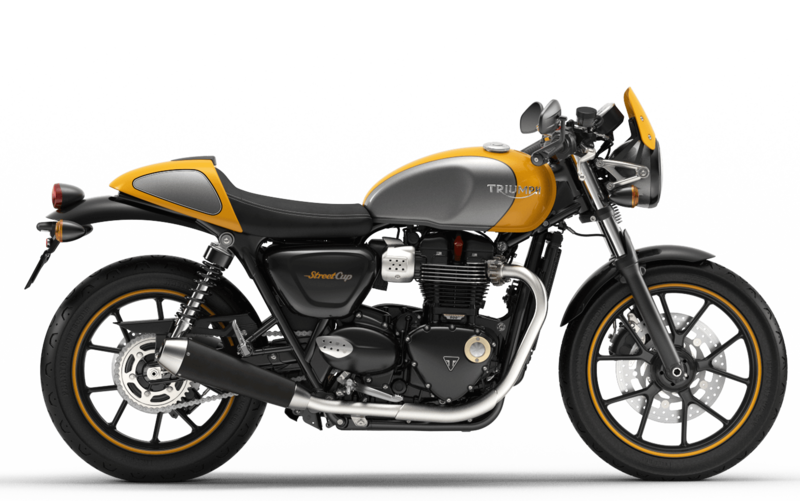 These features can include the critically acclaimed 900cc high torque Bonneville engine and an ABS for your needs. Schedule a test drive of the new 2019 Street Cup and see more with us at Latus Motors Triumph. When you visit with us at Latus Motors Triumph, take the time to speak with some of our friendly associates. Our team is profoundly trained and ready to help you find your next bike or ATV. They can even help you when you are trading in your old bike for the new 2019 Street Cup. If you are ready to purchase, fill out our online Credit Application to become qualified for an auto loan. If you have any questions about the bike buying process, visit with our team today!